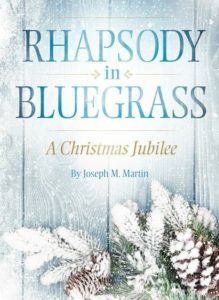 The Chancel Choir of Benson Baptist Church will present Joseph Martin’s latest Christmas cantata, “Rhapsody in Bluegrass,” on Sunday, December 9, at 11 am. “This will be a celebration of pure Christmas joy,” says Music Director Todd Johnson, “and we can hardly wait to share this music with our community.” It is inspired by American folk song, bluegrass, gospel, hymn, and traditional musical styles. The choir will be accompanied by a live ensemble, including fiddle, mandolin, banjo, guitar, upright bass, and drums. The cantata will be presented in the church’s historic sanctuary, located at the corner of Wall and Church Streets in Benson. The public is invited.